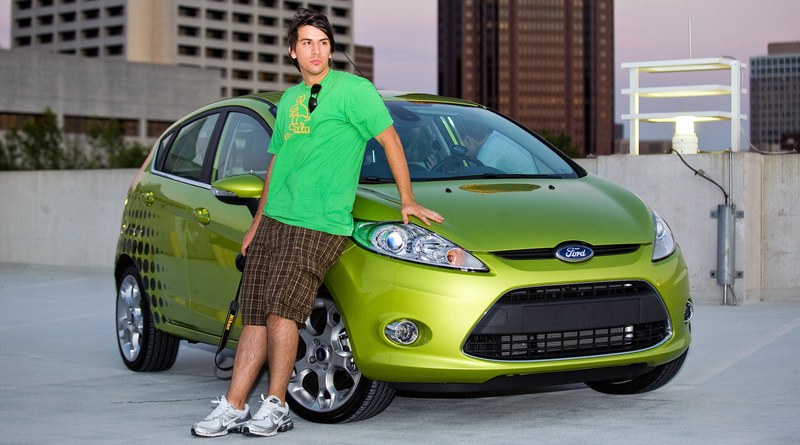 Note: Ford officially unveils the 2011 Fiesta on December 2nd, 2009. I will be at the launch at the Los Angeles Auto Show and will update this post with the official specs then. The Fiesta reviewed here is a European-spec model and I am not sure what packages and options it has. 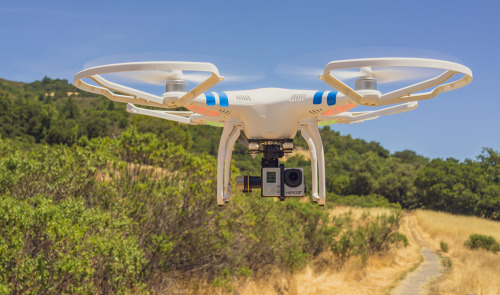 It is clear that it is a well-equipped model. Update: Details about the final US-spec Fiesta are at the end of this article. Full Disclosure: Everything in this post is 100% pure, authentic Paul Stamatiou thoughts. Ford Motor Company has not given Fiesta Agents any guidelines about how to present Ford or the Fiesta. In short, I'm telling it like it is; much like my last car review, the 2009 Lincoln MKS with Microsoft SYNC. The Fiesta is not mine to keep and was just returned to Allan Vigil Ford as of this writing. Ford paid for my gas, insurance and mission-related expenses during the Fiesta Movement program. I previously owned a 2002 Ford Mustang GT and sold it during the course of this program. The Ford Fiesta has come to play on the American roads. 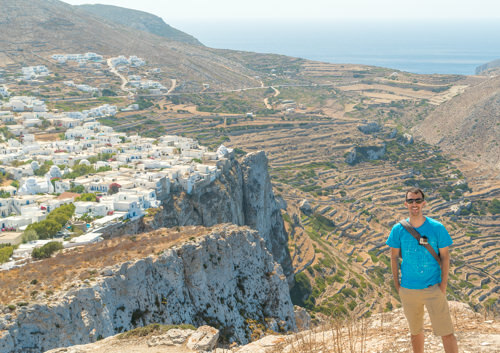 In the ultimate foreign exchange program, our 100 agents will spend 6 months behind the wheel of their own Fiesta, lifestreaming their experiences, and completing monthly missions to show you what the Fiesta is all about. Unlike most Fiesta Agents upon hearing that they had been chosen, I had mixed feelings. Being the curious car and tech person that I am, I was interested in learning about the car and its technology, but at the same time I was thinking to myself that I was going to be stuck with a brightly colored, 118 horsepower 4 cylinder car for months and not have the option of modifying the vehicle (tint and turbocharger kit would have been on my list). Of course those were just my initial impressions. You'll see how my thoughts changed during the course of the Fiesta Movement program. Every month during the program I was to select and complete a mission that Ford came up with and document my experience with video, tweets, blog posts, et cetera. Fast forward a few months and it has become clear that the Fiesta Movement is one of the best marketing initiatives by any car manufacturer ever. At the beginning of the program there were plenty of articles saying Ford was taking a huge gamble with the Fiesta Movement and risking their brand by letting 100 randoms go behind their cars and say what they want. I can tell you what we've got so far: 4.8 million views of YouTube videos, 660,000 views of Flickr photos and 3.4 million Twitter impressions of the Fiesta Movement. In addition, we've seen over 50,000 hand-raisers indicate that they want more information about the vehicle as it goes on sale - 97% of whom currently do not own Ford vehicles. And a 40+% level of awareness of a vehicle that's not even available in this country yet, which is the equivalent of the awareness of some of our vehicles that have been in market for 2-3 years. All with 0 in traditional advertising. 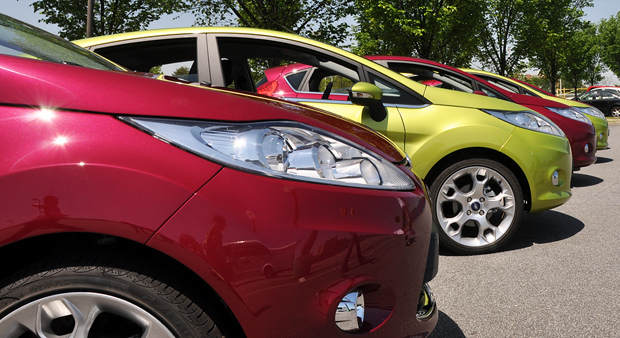 We're confident that we'll be selling a huge number of Fiestas in North America, not only thanks to the great product that it is, but thanks to Ford being perceived as a company that "gets it" when it comes to social media. Each month's mission had a different theme: Travel, Technology, Style/Design, Social Activism, Adventure, and Entertainment. Big thanks to Chris Morrell for completing the 3rd and 4th missions on my behalf while I was ill with mono for two months. Also, I could not have done these without post-production help from Chris Keen (mission 1), Tim Dorr (mission 2) as well as Chandler Simpson and John Paul Giago from ITZU Media (missions 3-5). Now on to the actual car. 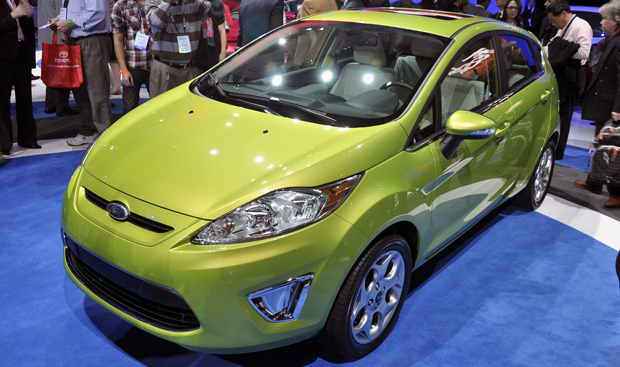 The U.S. Fiesta will be a German-designed, Mexico City-built (Ford actually converted their Chihuahua Engine Plant from building F-series trucks to the Fiesta) subcompact B-segment car, with this particular version being a 5-door (4-doors plus hatchback); a sedan version is rumored for the U.S. launch. To give you a better idea of the subcompact B-segment car landscape, that includes vehicles like the Toyota Yaris, Honda Fit, Suzuki SX-4 and Nissan Versa. I'll be the first to say that while I am not quite a fan of the Fiesta's rear-end, the front and side are rather alluring. The Fiesta is one of several current Ford vehicles created utilizing "kinetic design" concepts. That is to say they were designed employing a style that makes them look as though they are moving even when they are standing still, with features like swooped-back headlights. The European commercial explains what I'm talking about. 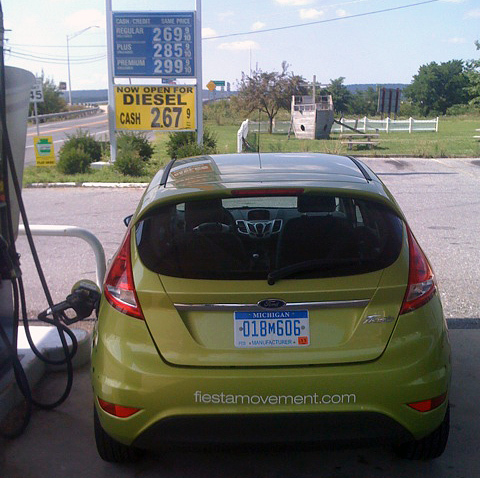 This particular Fiesta is coated in Squeeze Lime Green, which is now among my favorite colors, with some vinyl graphics that Ford let us choose. Does the Fiesta have Lamborghini-inspired wheels? The second thing I noticed was the use of rear drum brakes — a money-saving and less performance-oriented brake technology. While this is a bit offsetting, it is on-par with competitors (Fit, Yaris) in this subcompact segment. O hai! 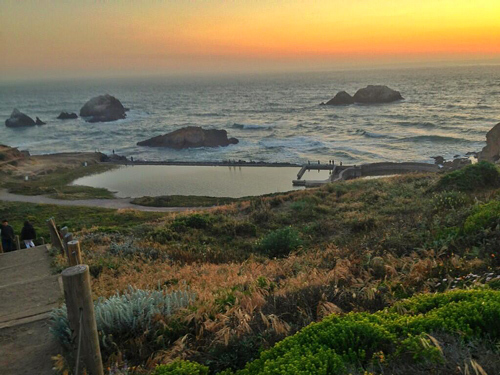 Props to Eugene for the stellar photo. Easy Fuel is one of the Fiesta's features Ford is excited about. 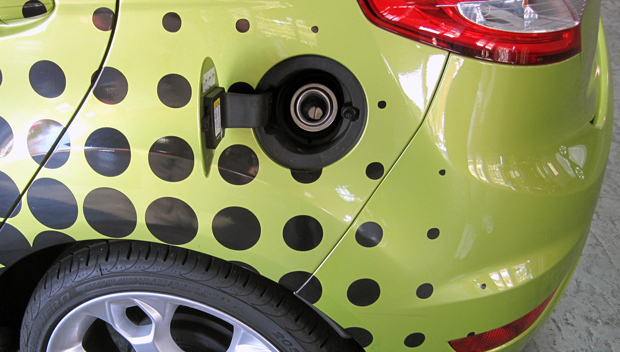 Essentially it is a capless fuel filling system, with added benefits such as it only allows gasoline nozzles to fit so you don't accidentally fill up with diesel. Although I can't imagine that is a huge problem in the United States. Notice anything different? There's no cap to forget. However, Easy Fuel has a few downsides. For one, you need to keep a special funnel handy in case you ever need to fill up from a portable gas canister. Second — and it is too early to tell — replacing the Easy Fuel system will likely be much more expensive than replacing a faulty fuel cap, and consist of replacing the gas tank neck. After several years if your gas tank cap stops maintaining pressure, you can just replace it for a few bucks. Fixing a faulty Easy Fuel system sounds like it would be at least 100 or more. 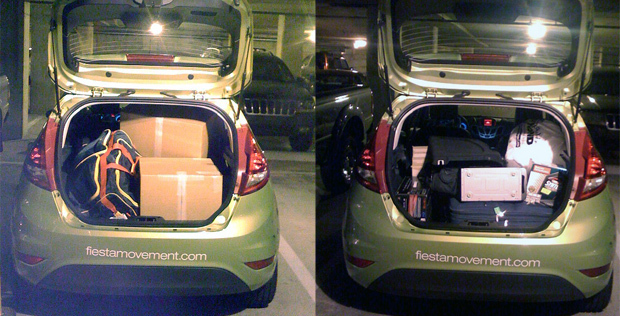 The Fiesta has no problem fitting into parking spots. In Short: The Fiesta is definitely a looker and it was easy for me to fall in love with the front-end, even while I am far from a self-proclaimed "hot hatch" fan. I forgot to snap a picture of it, but there is some nice orangey/red accent lighting that illuminates the cockpit when your headlights are on. Also, the right side mirror becomes convex towards the end so you can see more around you. Takes some getting used to but well-liked. Moving inside, the Fiesta is packed with handy technology not commonly found in its competitors. For example, while keyless entry is now standard on pretty much all new cars, the Fiesta goes one step further. Usually you would have to tap a button on the keyfob to unlock doors, and then once you're in put the key in the ignition and rotate to turn the car on. With the keyless entry in the Fiesta however, all that is required is having the keyfob on you. The car will unlock the door when you simply tap on the handle. You never need to take the keyfob out of your pocket. Push-button start. No keys involved. However, push-button start on the Fiesta is not what I would consider "true" push-button start. Rather than just tapping it once, you have to hold the button down until engine is on. I and a few friends that drove the Fiesta noticed this right away. We would tap the button and the car wouldn't turn on but the lights and gauges were on and it would require hitting the button again to turn it off, then holding it down all the way the next time. Steering wheels probably are not something most people consider when looking at cars but considering it's something they will be interfacing with regularly, it should be on the top of the list. 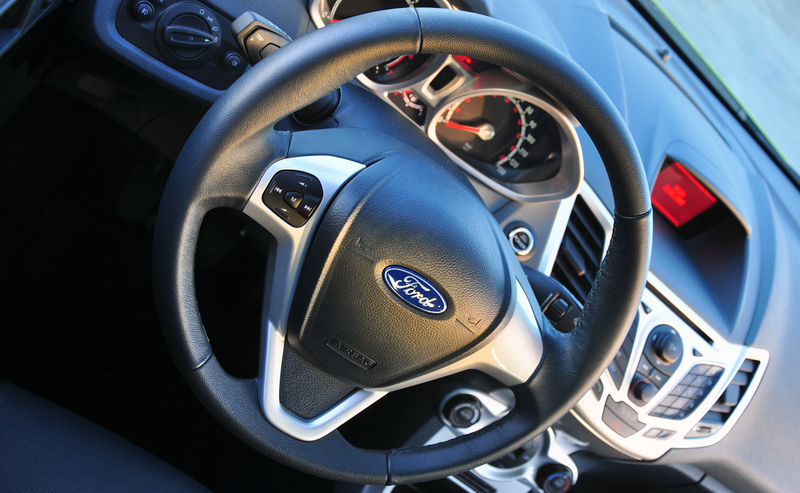 The Fiesta steering wheel gets high marks from me, it's comfortable and has thumbrests at the 9 and 3 o'clock positions, which are in fact the preferred places to put your hands, along with padded grips in those locations. Forget what your driver's ed teacher told you about 10 and 2 o'clock; that's wrong. On the left of the steering wheel there are basic sound system controls. This Fiesta did not come equipped with cruise control as the U.S. version will, so I would expect to see cruise control buttons on the other side of the steering wheel. As for adjustments, the wheel telescopes in addition to the usual up and down movements. 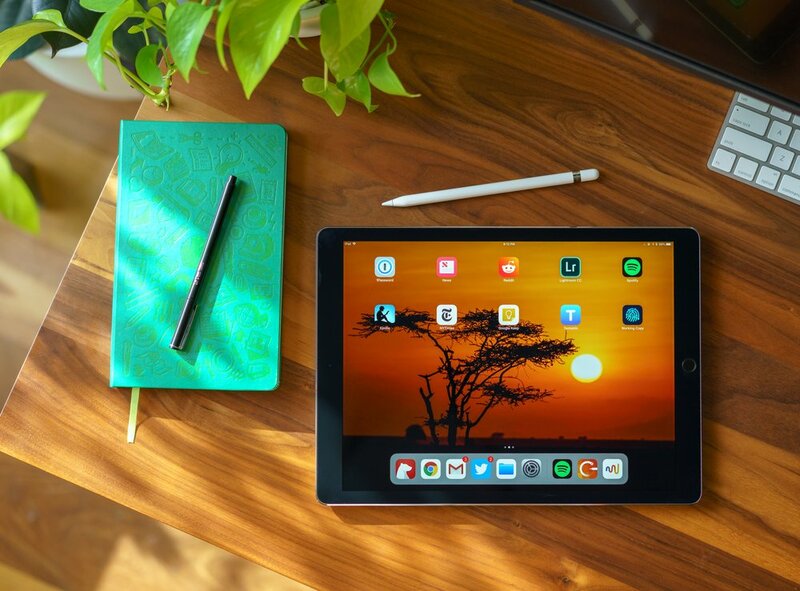 The entertainment system features "Human Machine Interface" design as well as taking hints from mobile phone design. 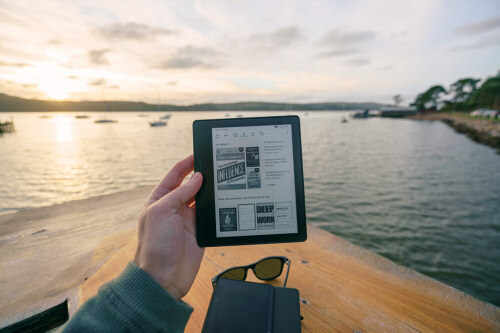 It has a 3.5-inch screen, with indicators on the side displaying stats from your Bluetooth-connected phone, such as if you have any messages. The final SYNC version will vary. This Fiesta did not come equipped with the beautiful Ford/Microsoft SYNC "in-car communications and entertainment system", so I will not be covering the entertainment system that did come with this particular Fiesta. This Fiesta had some features that will be vaguely similar to the final SYNC version though. 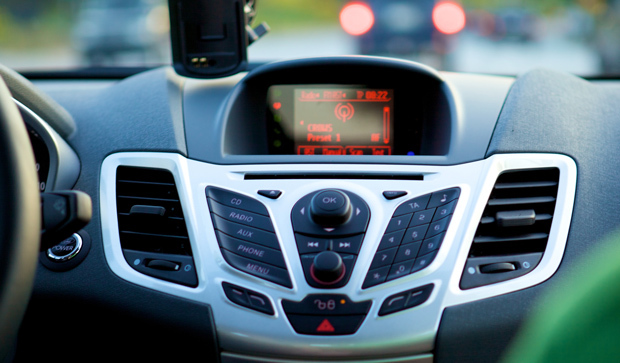 For example, there is a button on the turning signal stalk to activate voice control, which was able to control the A/C, radio and a Bluetooth-connected phone. However, one small nitpick about the placement of the voice button is that it isnt easy to push with a single finger and you need to use your whole hand; not the best situation while driving. I would suggest making it a button on the steering wheel itself similar to the voice button on MINI Cooper steering wheels. While I'm on the subject of the steering wheel stalks, the Fiesta comes with automatic rain-sensing windshield wipers. Automatic in the sense that once you turn them on, they speed up depending on how much water/mud/what-have-you it has to clear off your windshield, based on data it gets from a rear-view mirror mounted sensor. Speaking of automatic, the headlights also have a setting to turn on automatically but it forgets if you had your fog lights on the last time you used the car, so if you are a fan of driving with fog lights on like I am you'll have to tap that button each time. The Euro-spec Fiesta has a control to adjust the angle of the headlights (use case: if you have lots of cargo loaded, the rear of the car will sit lower, causing the headlights to point upwards - not good), but it is rumored the 2011 U.S. model will likely feature auto-leveling headlights. And while I am on the subject of automatic (noticing a trend here? ), the rear view mirror in my loaded Fiesta was auto-dimming. While I was disappointed that the headlights aren't HID, they are definitely suitable for pitch-black road driving and create a clean beam with their projector styling that leaves little room for scatter loss. These are ECE/E-code headlights though, so it will be interesting to see if the DOT versions will be just as good in the 2011 U.S. Fiesta. I'm also a fan of the bright, vibrant and most importantly easily readable gauge cluster but I would like to see more than just fuel, tachometer and speed readouts. That being said, the small display in the top of the cluster does show and let you cycle through things like approximate miles per gallon. The cluster looks great at night, but as you can see the glossy housing is rather reflective. My Fiesta interior came wrapped in leather, with the front seats having built-in seat heaters. However, the controls are poorly placed on the door-facing side of the seats, making it easy to accidentally bump and turn them on. There are no level settings — only on and off — which makes the heated seats look like an afterthought of a feature as they get pretty hot. I would have liked to see controls in the center console unit, with indicators showing their current setting. I found the front seats comfortable even after hours of continuous driving, but I would enjoy a bit more seat bolstering to keep me from sliding in the seat while carving corners. Seat adjustments are done via manual controls. I was able to stuff the Fiesta with four other people including myself, but it was obvious that it was a slightly tight fit. If you want to be able to see out of the back window, I suggest you only drive around three others. When driving by myself, I often put down the rear headrests for an unobstructed rear view. The 2011 Fiesta, featuring SYNC, will make use of this USB port to control your iPod/iPhone. 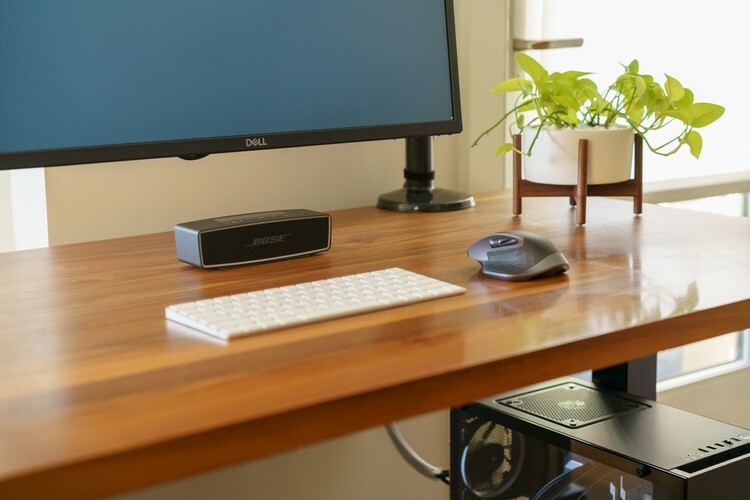 Below the USB port there are two cup holders and a small rectangular space to place things like your wallet and cell phone. Notwithstanding, that only works for a bit as the compartment is not very deep, nor covered, and your phone is more than happy to slide off during turns. The cup holders could stand to be deeper as they did not fare well with the tall-and-top-heavy-with-narrow-base soft drink cups frequently found on road trips (QuikTrip!!). On the upside, the cup holders fit a Red Bull-sized can perfectly. 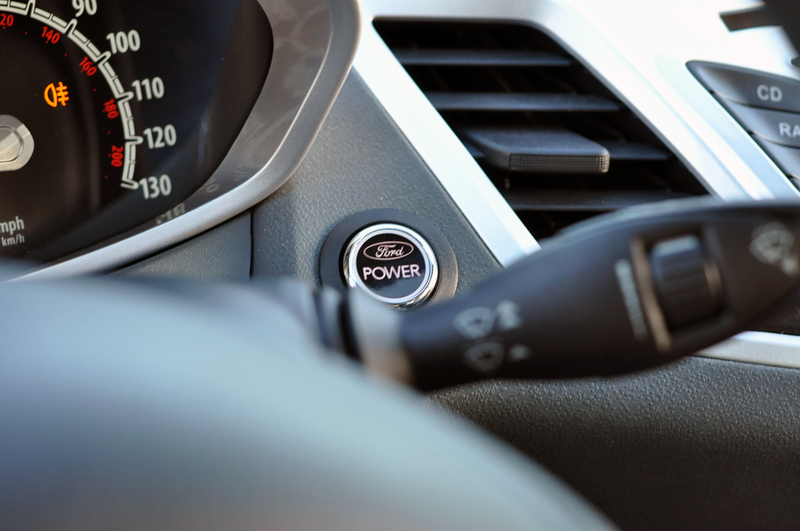 Unlike other vehicles with USB ports, the one in the Fiesta is actually powered. 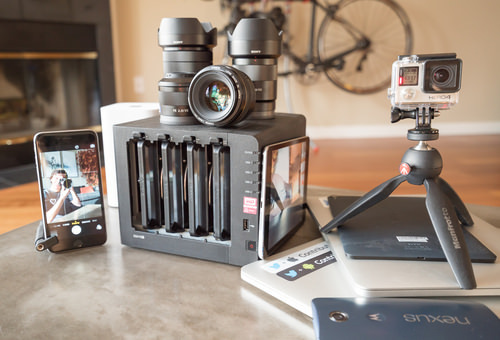 It makes for a great iPhone charger. 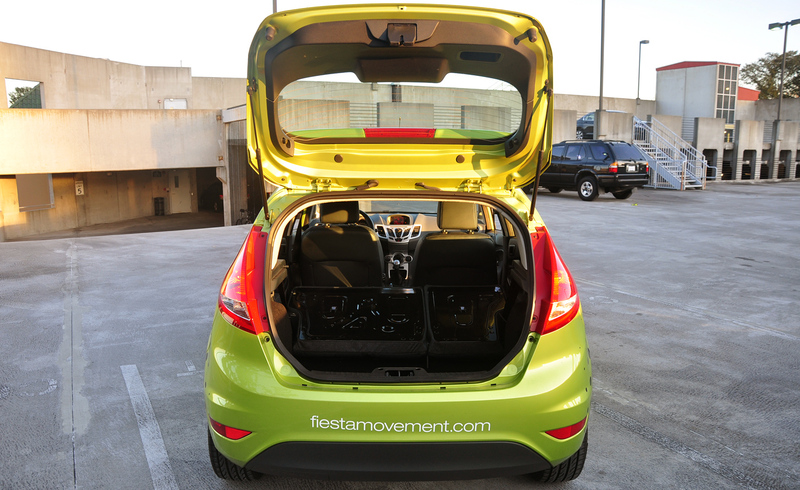 Despite its subcompact size, the Fiesta can still fit a great deal of stuff. Unfortunately, the rear seats do not fold flat like the Honda Fit and others in the class. They are in a 60/40 folding configuration that reveals a still-large usable cargo area. Sprinkled throughout the Fiesta are tiny features that make you applaud Ford's attention to detail. One of these is the rear seat belt holder that ensures seat belts do not get in the way when folding the rear seats and loading up cargo. Another one of these attention to detail items is the lockable floor mats to ensure they stay in place and don't get loose and jam your accelerator pedal — a huge safety issue that caused Toyota to recall 3.8M vehicles. However, there were some interior parts of the Fiesta that were, for lack of better wording, just made with cheap plastic. One of the first interior bit that broke was a little compartment under the steering wheel. Chris and I started keeping a little tube of Krazy Glue on hand. The first thing to break in the Fiesta, after a month. I also ran into another issue with Fiesta build quality. A friend closed the rear door a bit hard and the clips that fasten the door's side panel broke off. This caused the side panel to come loose and when closing the door, get stuck on the interior of the car floor. From then on the door was impossible to open. The fix was rather simple — replacing some broken clips inside the door — but this would not be a problem if a sturdier design and/or materials were used. In addition, some of the weather stripping on one of the rear doors began coming off on its own each time the door was opened. 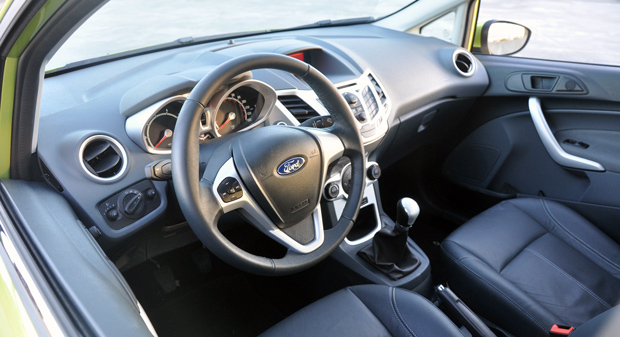 In Short: From the outside, you might think the Fiesta's interior would be cramped. It's not and is actually a rather comfortable place to be while you're stuck in downtown traffic. It only takes a peek inside of a Fit or Yaris to see how the Fiesta's interior excels. Hopefully tighter fit and finish will come with the U.S. model. Ah yes, my favorite part — the real car talk. 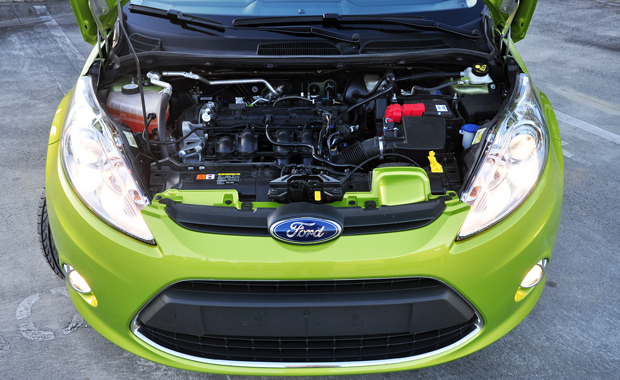 Under the Fiesta's bright green bonnet sits a naturally-aspirated 1.6L DOHC 4 cylinder gasoline powerplant with twin independent variable camshaft timing (Ti-VCT). It churns out 118 horsepower at 6,000 RPM and 112 ft-lbs of torque at 4,050 RPM. For those of you that are unimpressed with those figures and about to close your browser tab, it should be known that the Fiesta is a lightweight. Ford states this 2009 5-door Euro-spec Fiesta weighs anywhere from 2,158 lbs up to 2,466 lbs depending on configuration and other variables. (For comparision, a super-light Lotus Elise SC tips the scales at 2,000 lbs, the Toyota Yaris is around 2,300 lbs and the Honda Fit is a porker at around 2,500+ lbs). Not to mention rumor has it a 1.6L EcoBoost engine in the 180 horsepower range will be available at launch. Power gets delivered to the front wheels that have quick, precise turning with the Electric Assist Steering. No torque steer.. well, because there is not much torque to speak of. Ride quality is comfortable without feeling floaty or disconnected from the road experience. As with most naturally aspirated engines, power delivery is more or less linear but the engine begins pulling more around ~4,000 RPM when it seems Ti-VCT kicks in more. With such a limited power band, a close ratio 6 speed manual would definitely come in handy, but the regular 5 speed transmission is fine, if a little inefficient. In fifth gear, the Fiesta does 65 MPH at 3,000 RPM, 75 @ 3,500 RPM, 85 @ 4,000 RPM, 90 @ 4,500 RPM. You'll have to get used to the engine spinning that fast at highway speeds. 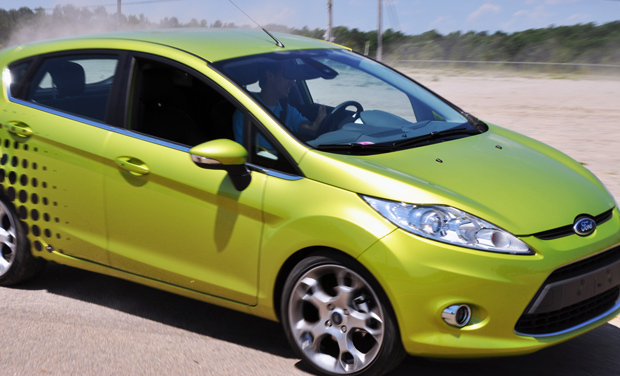 This Fiesta came with a 5-speed manual transmission but the 2011 U.S. model is rumored to have the option for Ford's high-tech PowerShift dual-clutch 6-speed automatic transmission, which will let you do things like tap the brake to disengage the clutches (no more torque converter nonsense) and coast to increase fuel economy. 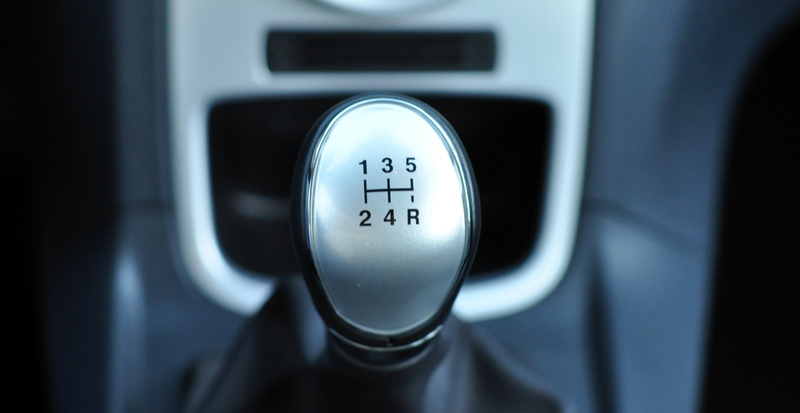 I have two nitpicks about the 5 speed manual transmission: 1) the shift throws are long and the gates are not precise, so there's wiggling room, which can and does lead to mis-shifts when trying to operate it very quickly. On the upside, others will find this makes for easy, one-finger shifts. and 2) the reverse gear needs a synchro, badly (especially for a car aimed at what will likely be people that have never driven manual before). You'll want to go into another gear first then go into reverse, otherwise you'll likely grind for a bit. This is not just an issue with the Fiesta, the TKO600 transmission I put in my Mustang had the same deal and it was widely taken as common practice among Mustang enthusiasts to shift into another gear to use its synchro, then put the car in reverse. There is a nifty stall prevention feature that will blip the throttle if it detects the engine is about to stall. Sounds good in theory, but rarely kicks in when you need it and will blip the throttle at times when it seems there is no apparent reason for it. It either needs to be more aggressive with the throttle blipping and have the option to turn off the feature (call it beginner mode), or just not be present at all. Doesn't get more patriotic does it? The steering feels great. Electric Power Assist rack-and-pinion power steering means that unlike traditional hydraulic steering, the power steering is only active when the car needs it. This means better fuel economy, easy low-speed driving while serving up a better feel of the road when at highway speeds (not as much or any electric-assist the faster you're going). This technology is not to be confused with Active Steering found on other cars, which adjusts the steering ratio based on speed, driving style and road conditions, or Direct Steer that changes the steering ratio based on how much lock is applied. While the car does sit high, there is only a little body roll thanks to the fairly good suspension. There is noticeable suspension loading during moderate to harsh cornering and braking, as is expected with a suspension that is a great mix between sporty and comfortable. Slight understeer is present. While the brake package on the Fiesta won't get you excited (2-piston caliper/10.2-inch rotors up front and 7.9-inch drums out back), the technology behind them will. In addition to the to-be-expected-as-standard-these-days ABS there is something called Electronic Brake-force Distribution, which is handy in situations before ABS takes over and "automatically optimizes the front-to-rear brake force distribution to reduce the tendency of rear wheel lockup." There is also Corner Braking Control that helps the Fiesta get around tight, aggressive high-speed turns by automatically braking the inside rear wheel of a turn, letting the Fiesta get away with some nice carving. I got to try this out first hand during the Fiesta training weekend where we had access to an autocross track (read: big parking lot). Unfortunately, there is no indicator light to show you when it's working, which would be cool for the car nerds. The Fiesta is unfortunately rather quiet. I like to know my engine is working hard for me and the 1.6L gives little indication that it's actually on. Top speed is listed at 120 MPH, but you'll need patience for anything past 100. Clutch and gas pedals were the easiest to push compared to any car I have ever driven. I am not sure if that is a good thing, I would prefer a bit more feedback. I was looking through our monthly gas report and while most agents are getting about 29 mpg you are consistently seeing mpg in the low 20's. I know you are a car enthusiast (nice write up on the MKS) and am wondering if you think the car is running okay or are you just driving it hard? Rest-assured the Fiesta was running great. I drive in the city the majority of the time and tend to drive enthusiastically. Ford states fuel economy for this Euro-spec Fiesta is around 39 MPG, but the 2011 U.S. engine will have a different compression & timing and use regular 87 octane instead of the premium required with this one, so the fuel economy (as well as horsepower and torque) may vary slightly. In Short: While people will be buying the Fiesta for its utility and economy, and not as a weekend track warrior, they will not be disappointed with the Fiesta's performance when comparing it to other B-segment subcompacts. I brought up several performance nitpicks with this car but they end up being trivial when compared to other cars in this class and price range. 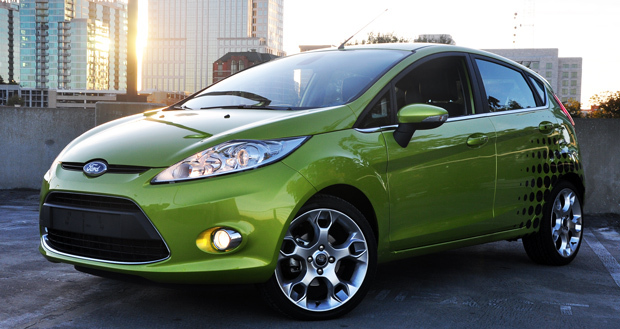 Of course, it wouldn't hurt to offer a fantastic turbocharged version of the lightweight, agile Fiesta. That is just inside the car. Chassis design makes use of lots of high strength steel along with so-called "dual-phase" rails that carry the traits of both energy resistance and absorption. The exterior also has some design features (i.e. headlight, hood and front fascia) to protect pedestrians that I won't delve into. 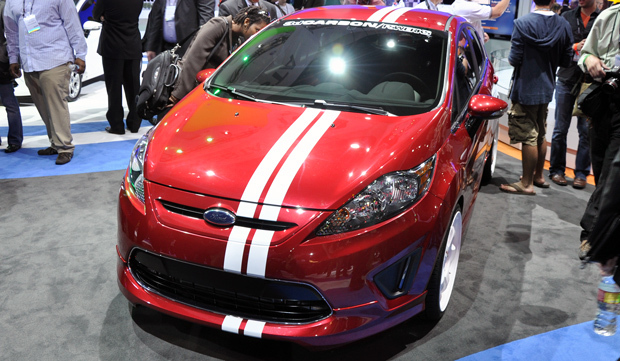 Ford states the only body changes to the 2011 U.S. Fiesta will be for getting the Fiesta aligned with U.S. automobile safety regulations. European regulations stress the importance of pedestrian safety while U.S. regulations are more about passengers surviving a crash. In Short: Ford is trying to change the way people think about car safety. Small, light cars can be safe too. Now if only they could convince my parents, who initially did not want me to even drive the Fiesta, thinking I would get obliterated by a Hummer on the highway. Okay, the title of this section is misleading; the damage above was definitely not intentional. My friend Chris Morrell had been helping me out with missions and frequently drove the Fiesta. Unfortunately one evening while he was en route to a Freeside (Atlanta Hacker Space) meeting, a car swerved into his lane, causing the Lexus RX SUV in front of him to mash the brakes. The Fiesta was not able to stop before colliding with the rear of the SUV at around 5 MPH (estimated from what Chris told me - ABS did not engage, which means it was at least slower than 12 MPH). It would have been interesting to see how much such damage would have cost a consumer to repair. 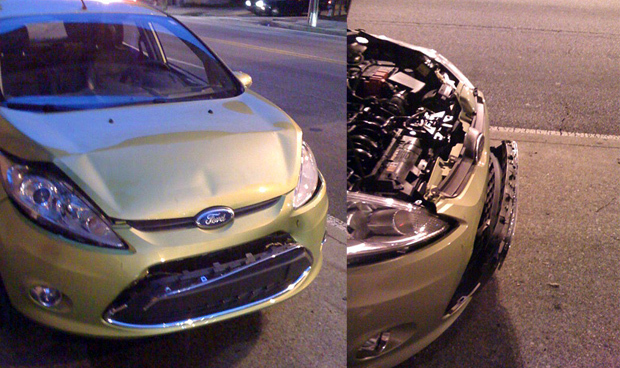 I was surprised the hood got crumpled like it did, considering the contact point of the Fiesta and the SUV was right on each car's bumper (as noted by the large dent under the driver's side headlight). The radiator was also damaged along with a headlight. The other vehicle has no visible damage aside from slight paint scuffs. In Short: This looks expensive for such a small fender bender. Just my opinion. I do not know what other subcompacts look like after similar fender benders. For clarification, most things in this review are based on having had the 2009 European-specification Fiesta. When the 2011 U.S. Model Fiesta is unveiled at the Los Angeles Auto Show next month, I will update this post. While several things in the U.S. model are sure to change, I believe this review to be a good impression of what the 2011 model will be like. I did not mention any price points in this review as I did not have access to that information, but it is clear that the Fiestas used by Fiesta Movement Agents are far from your typical base model. I would assume pricing is competitive with the Yaris and Fit, placing it somewhere in the 12-20k USD range. Alright, so what are my final thoughts? It should be noted that these are my ratings of the Fiesta in the scope of its competitors. For example, if I were to have no scope, my performance rating would be something like 3.0/10, with ratings below 3.0 being reserved for painfully slow cars like all of Honda's CVT hybrid offerings. Interior: 8.5/10 Technology: 10/10 (especially with the U.S. model sporting SYNC) Aesthetics: 9.0/10 Performance: 8.0/10 Value: Pending final U.S. pricing information Nutshell: Easy to drive, park, fill up and live with. Ford got me to rethink small cars. Overall: The Fiesta Movement was an incredible program to be part of, especially as it is turning out to be a landmark case study in the power of social media ROI applied to real world marketing. Major props to Scott Monty and Ford on taking a random idea — putting 100 digital natives behind the wheel of 100 unreleased cars — and running with it. Now I'm wondering if Ford will take the successful Fiesta Movement model and, well, try out a Shelby Super Snake 725 Movement..
As many of you guys are within the target demographic for this car, what do you think of Ford's marketing efforts and the new Fiesta? 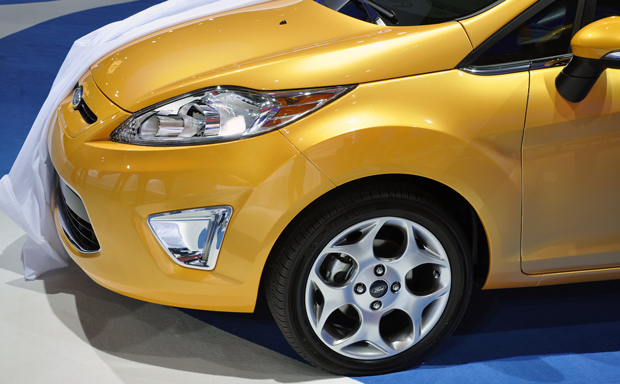 What kind of car (subcompact, SUV, etc) are you currently behind the wheel of? Drop me a comment below! I got back from the LA Auto Show earlier this week, where Ford flew out as many of the Fiesta Agents that could fit the trip into their schedule. The trip was rather short at less than 2 days but it was a phenomenal event. Fiesta Agents actually went on-stage during the unveiling of the Fiesta and we pulled the covers off of the cars. My picture is now floating around on many car blogs as I was front and center of the stage. More pictures of the Fiesta Movement events can be found in this photo set. While Ford themselves doesn't offer a turbocharged Fiesta yet, tuning house FSWerks has this turbocharged SES model. Now on to the details! Aesthetically, the front bumper received the bulk of the design changes — purportedly to accomodate a U.S. DOT approved beefy crash bumper. The grill was changed a bit (I preferred the Euro grill though) and fog lights were swapped out in favor of a vertical strip of LED "driving lights" that can either be wrapped with a chrome or black insert. Moving up, the side mirrors got rid of the convex mirror in place of a unique, separately-controlled blindspot mirror. Some new colors were introduced as well. Inside the 2011 Fiesta, there were minor changes as well. Seat heater controls were moved to the center console area below the media center among other tweaks. 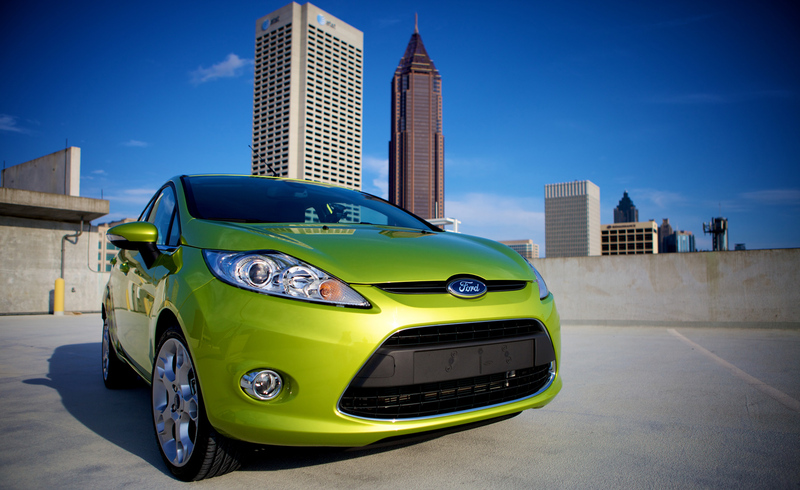 More details can be found in the 2011 Ford Fiesta press release.